To avoid misinterpretation of the laws it’s very important to know exact vehicle light definitions. 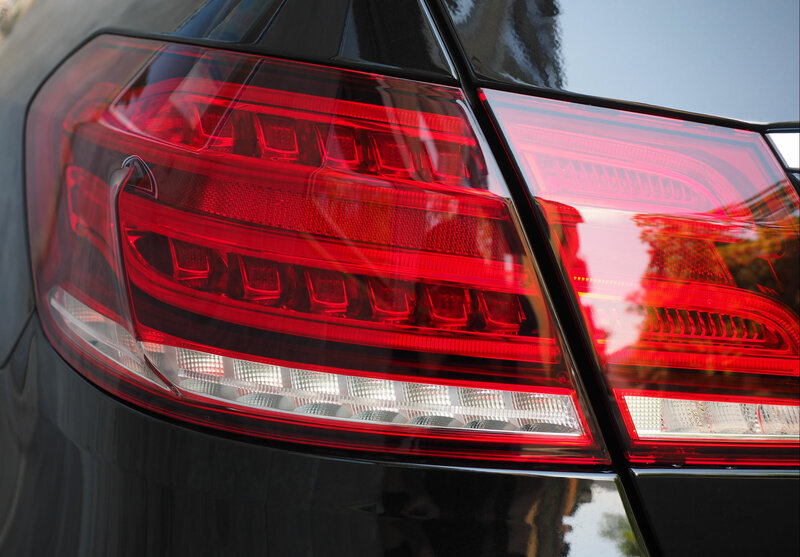 Laws almost always mention and specify the color, size or height of vehicle lights, but it’s crucial to understand that neon underglow does not fall into these general categories. We have seen multiple times where people assume underglow falls under “auxiliary” or “backup” lamp regulations, yet in both of these cases it’s completely false. While the confusion is understandable, we’re here to help clarify a few things. Take a look below to understand what are auxiliary lamps, backup lamps, side marker lamps, and other vehicle lights in order to gain better insight into what neon underglow laws are referencing. Auxiliary lights include auxiliary high-beam lamps, fog lamps, and what is in modern times mostly defunct, cornering lamps and spot lights. Auxiliary high beam lamps are in essence additional headlamps designed to provide a higher intensity of light and therefore allow drivers to see at a longer range. These lamps are not part of vehicle’s mandatory lighting equipment. Fog lamps also fall under the auxiliary lights category. These usually produce white or yellow light and help illuminate the road under difficult weather conditions. Also under auxiliary lights are cornering lamps and spotlights. Cornering lamps have been prohibited by international regulations for decades, and spot lights have practically not been used since 1960′s. Laws still make a mention and regulate the use of cornering lights and spot lights, but in most cases you can safely ignore these regulations unless you’re driving an old-timer. Despite it being a common misconception, backup lamps does not refer to any kind of “emergency” lighting system. 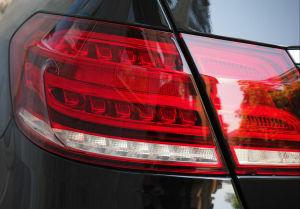 In fact backup lamps are lights on the rear of your vehicle which illuminate when you’re in reverse. Most states require backup lamps to emit white light, but for example Washington also permits amber. What are side marker lamps? Side marker lamps are permitted, but not required on cars in US and Canada. These lights are designed to assist in giving other drivers the general sense of vehicle’s presence, position and direction and length, and are usually mounted as near as possible to the front and rear edges of a vehicle. Large vehicles like trucks are required to have side marker lights and reflectors. Most of U.S. state laws define the color and height of these lamps. Typically it’s white and amber in front and front sides respectively, and red and amber on rear and rear sides. Identification lamps are required on all vehicles over 80 inches wide, and their purpose is to alert other drivers of a wide vehicle, usually a truck. These lamps are used in groups of three in a horizontal row, and provide light to the front or rear or both. Identification lamps are mounted on the vertical center and on top of a vehicle. Like side marker lamps, these also aren’t required on cars. Clearance lamps are mounted on a vehicle on upper left and right edges, and their purpose is to indicate the width and height of a vehicle. Clearance lamps, much like side marker and identification lamps, are only required on on large vehicles 80 inches (2,032 mm) wide. What are side cowl or fender lamps? Car’s cowl is the front part of the frame supporting the rear of the hood, windshield, dashboard and instrument panel. The cowl separates the passenger compartment from the engine. Side cowl lamps are typically found on vintage vehicles, and only rarely added as an aftermarket accessory to modern cars. Colors which are permitted in most states are white and amber, but double check this information with your state code to see if it’s legal or not. What are running board courtesy lamps? Running board courtesy lamps are installed on the side of a car, underneath the doors. 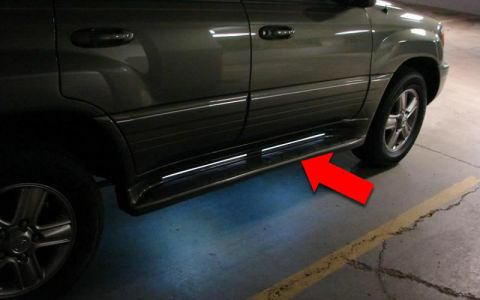 Many states permit adding aftermarket lighting to running boards, and colors are typically limited to white or amber. Running board is a footboard extending along the side of a vehicle designed to aid entry into a high vehicle, therefore it’s mostly found on SUVs or pickup trucks. Make sure you refer to your state laws to see if running board lights are permitted, and which colors are allowed. Don’t attempt to justify using your illegal neon underglow as “auxiliary” or “backup” lamps, because that’s simply not the legal definition of these lights.